These engines run cleaner and stronger, with exceptional dependability and durability. Barge, tug and towboat operators now have even more options – with ratings up to 800 hp (597 kW), our proven QSK19 is more powerful than ever before. 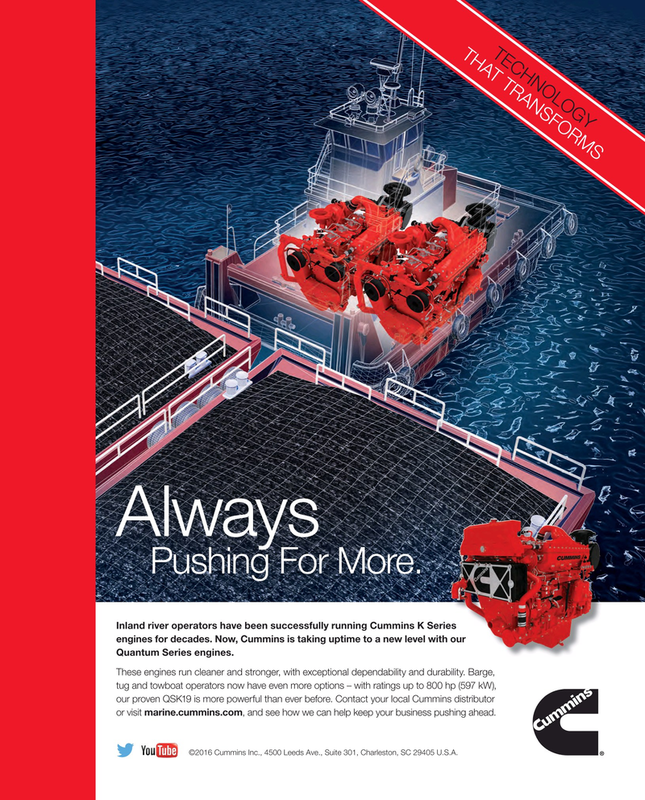 Contact your local Cummins distributor or visit marine.cummins.com, and see how we can help keep your business pushing ahead. ©2016 Cummins Inc., 4500 Leeds Ave., Suite 301, Charleston, SC 29405 U.S.A.